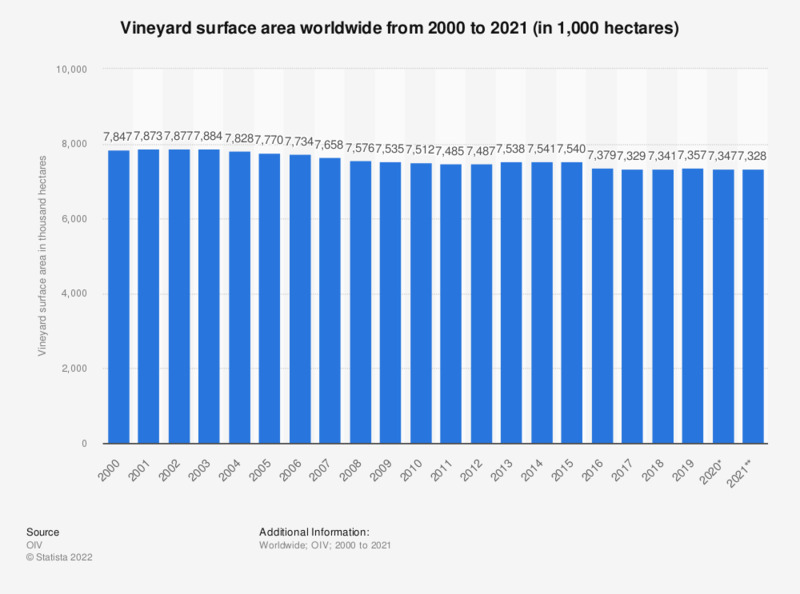 This timeline presents the vineyard surface area worldwide from 2000 to 2017. In 2017, the global vineyard surface area amounted to about 7.6 million hectares. *** Projection. The original source provided the figure rounded to millions.